This is a column I didn’t want to write. Like many of you I am tired of IBM stories and the company that was once an industry leader has become, at best, a poster child for how not to manage the later stages of a corporate life cycle. But because what’s happening at IBM is also happening right now at hundreds of other big technology companies makes it worth covering. So let me be clear: IBM is dying. Last week a huge round of layoffs hit IBM just as I predicted back in January. The company is releasing as few details as possible. Nobody, for example, knows exactly how big is this layoff -- how many people are being let go? IEEE Spectrum found one source that said the number was 30 percent of the U.S. IBM workforce, a number which IBM says is too high. I also believe 30 percent is too high, especially if you confound it with retirements, contractors being axed, etc. This round of IBM layoffs looks to me to be in the 20-25 percent range. A similar number of IBM workers were let go last year, but what makes this year’s numbers so notable is that most are regular employees -- not contractors or retirees (those were mainly dumped last year to make those layoffs look lower). With IBM U.S. employment in the 90-100,000 range, this suggests that 18,000-25,000 people have just been shown the door at IBM. And they did so under new rules that grant at most one month of severance pay instead of up to 23 weeks that was in effect until the end of 2015. That has to be a kick in the head to all the IBM old-timers who had been waiting for the axe to fall no matter how good they were at their jobs, yet hoping for some kind of package. Well the package is here and it is full of crap. The IBMers I hear from, and there are lots of them, are generally either pissed-off or scared. But it’s frankly far too late to save the IBM they remember. That company has been gone for years. The best they can hope for is a little clarity and leverage concerning the terms under which they are being shown the door. It looks like IBM isn’t being clear about their options with those on the layoff list and I’ll be covering that in another column this week. But for now I want to explain why I say that IBM is dying. Big Blue is in transition they say. Old businesses like mainframes and midrange systems are giving way to cloud, analytics, mobile, social, and security. The company has done this before many times. Gone are the card sorters and typewriters for example. The theory is that IBM will emerge like Doctor Who from this latest transformation, a new company headed for even greater things. 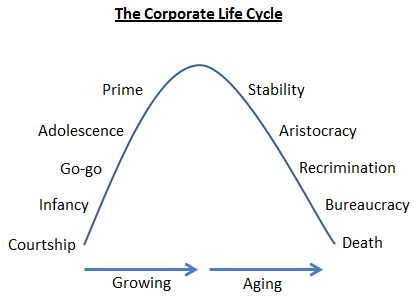 During such a transition time the job of the CEO is to starve the old businesses to feed the new ones. IBM CEO Ginni Rometty has done this in spades because she has the added job of keeping Wall Street happy, which means increasing dividends and share buybacks no matter the actual economics of her business. It’s all done with the idea that the new businesses will more than make up for the old. The largest shareholder of IBM is Warren Buffett’s Berkshire Hathaway with over eight percent. In one sense you might think that Buffett would worry about IBM’s stock spiral. On the contrary, a few months ago Buffett explained that as a long-term shareholder who ideally would never sell, falling share prices are actually good because it allows him to buy even more shares on the way down and own that much more of the company when it comes back up. What happened? What turned Buffet around? Surely not this one layoff: IBM has been doing these for years, though never so brutally. The only event that I can see causing this change in Warren Buffett is Ginni Rometty disclosing to her largest shareholder that the basic premise of transition and renewal isn’t working. Things aren't going well at all in cloud, analytics, mobile, social and security land. When those kick-in (if they kick-in) IBM will be just one company in a crowd with no particular advantage over the others. IBM used to be able to count on its size, its people, its loyal customers, but all of those are going or gone. Apple or Google could buy IBM with cash on hand, so it’s no longer the Big Kahuna. IBMers of yore are all gone and for the current breed it’s just another job. IBM customers are leaving in droves, too. Of the whole CAMSS suite only security is an obvious success and the world isn’t ready for a $100 billion security company. IBM isn’t KODAK or XEROX as one reader asked. It’s not that IBM stuck too long with an old technology or developed new ones it then chose not to sell. A better analogy for IBM is the original AT&T -- a company that spent huge amounts trying to reinvent itself as a cable company and a wireless company only to finally sell itself to SBC for $16 billion.